A short tutorial to our website. Select Log on from the top right navigation bar. Then enter your Account number and Password provided to you from Häfele. If you do not have an Account, please Register to our online store. 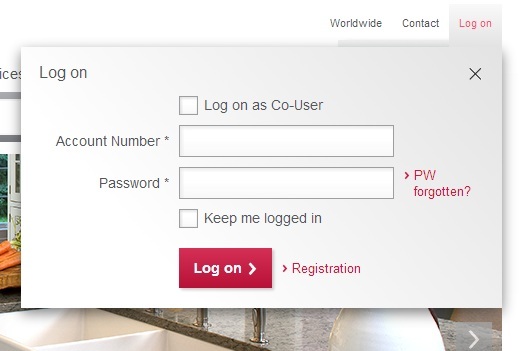 If you are logging in as a Co-User then select the box for Co-User and have your Account # and your Username/Password ready. Then select Log on. You will now be able to view pricing and be able to purchase from our website. After logging into the website you may set up additional Users for the Account. These Co-Users will be able to log into the Account. However, you may limit their access and ability to place orders. 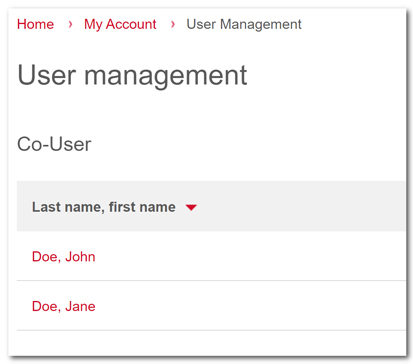 To setup a Co-User of the account - select User Management from the left navigation and then select New User . 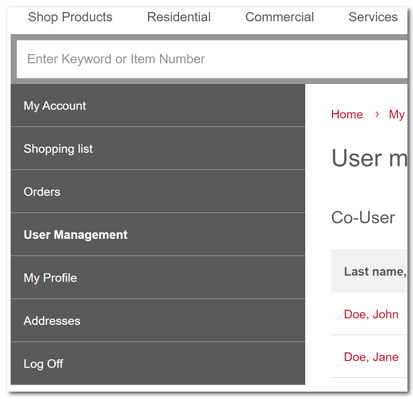 You will fill out a form and be able to provide a Username/Password for this new user. You may setup as many additional users that you wish for your Account. Make sure that you provide them this information as no email will be sent to them. So please become familiar with this part of our website.